The hard edges of winter continue to soften as temps creep up over the freezing mark and snow and ice transform. As we start the transition from one season to the next, it’s almost as if nature is holding its breath waiting for just the right moment to burst into life. 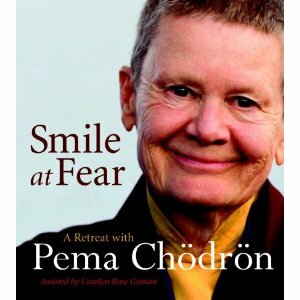 I find my mood these days to be just in the same place – poised and waiting. Waiting for warmth. Waiting for growth. Waiting for nature to rebirth itself in its continuing cycle. I’ve strayed a bit from my usual choice of Darjeelings this morning. Not a first flush, not a second flush, not even an autumnal but a Darjeeling Oolong. Tindharia estate Oolong tea. 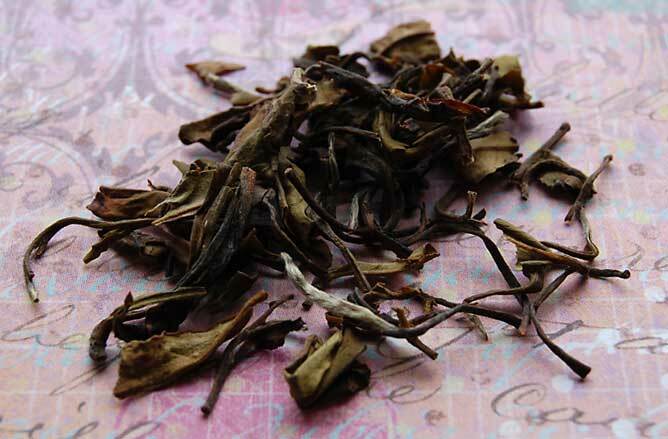 Most of the teas produced in the Darjeeling tea growing region of northeast India are black teas. 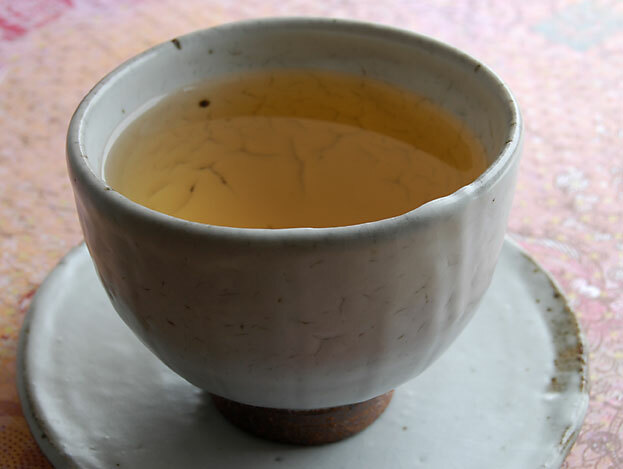 Some are green teas, rarer are white teas but rarer still are Oolong style teas. I don’t have any information on the oxidation level of this Oolong but if I had to guess, I would say it’s low. The leaf is much bigger than a Darjeeling black tea and wow, look at that intact fine plucking of the upper leaves and bud. I love to find a leaf set like that as I sift through the wet leaf. 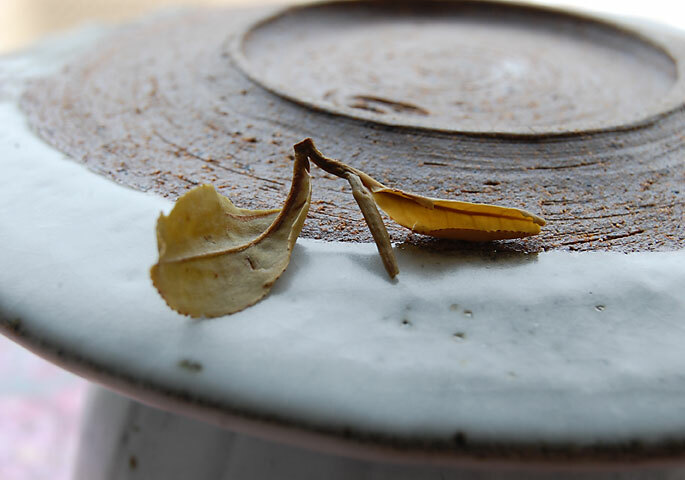 Taking photographs of the tea in all its steeping stages has given me a finer appreciation of how the tea leaf makes its journey from bush to cup. It gives me an awareness that I wouldn’t usually have. It’s amazing what you see when you look at something very closely. I steeped the leaves for 4 minutes in 190 degree F water. 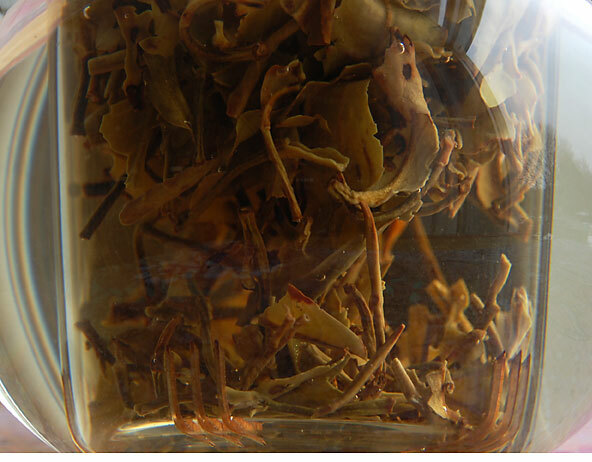 I find its light golden color to be more in line with a green or white tea as well as the vegetal, almost herbaceous flavor notes and aroma. As my tea cools, I detect a fruity, almost muscatel flavor note. Oh, there you are, Darjeeling flavor. A whisper of peach reminds me of a Fancy Oolong from Taiwan. This tea has an incredible range of complexity. 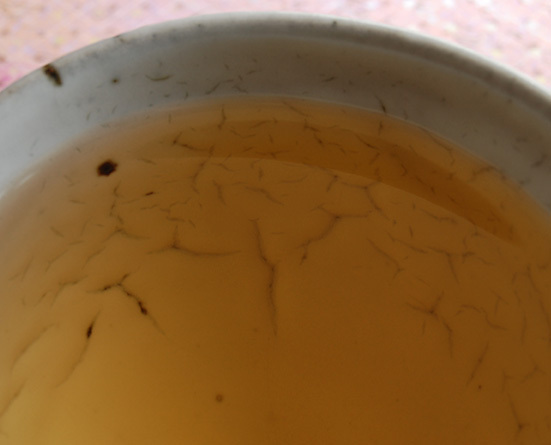 I love the pattern of cracks on my teabowl. I wonder if they fired it in such a way that it was intentional. Intentional or not, I love its character. It makes me want to peer more closely at it to discover its wonders. 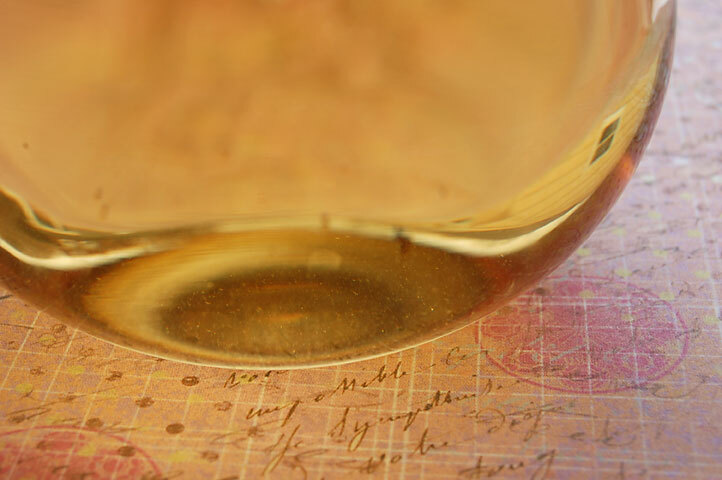 This entry was posted in Darjeeling Tea, Life Musings, Oolong Tea, Photography, Tea and tagged Darjeeling Oolong tea, tea review, Tindaria estate Darjeeling tea.